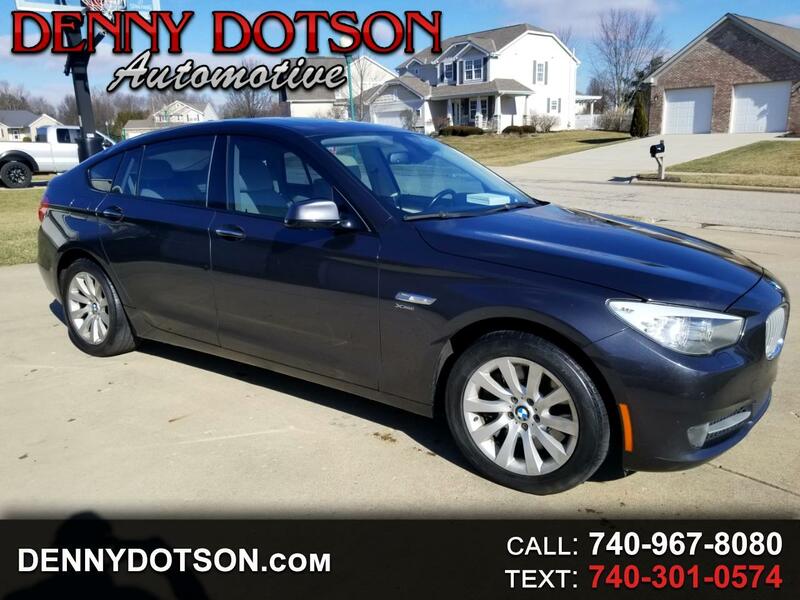 Used 2010 BMW 5 Series Gran Turismo 5dr 550i xDrive Gran Turismo AWD for Sale in Johnstown OH 43031 Denny Dotson Automotive Inc.
2010 BMW 550 XDrive GT in Space Gray Metallic over White Dakota with Black accents and Carpets. Over $70K new MSRP. Gorgeous BMW! Well equipped with the Convenience Package(Comfort Access Keyless Entry, Soft-Close Automatic Doors), Cold Weather Package(Heated Steering Wheel, Heated Front Seats, Heated Rear Seats),Dynamic Handling Package(Electronic Damping Control, Active Roll Stabilization, Adaptive Drive), Premium Sound Package, Sport Package(Sports Leather Steering Wheel, Multi-Contour Seats, Shadowline Exterior Trim, Increased Top Speed Limiter), Rearview Camera, Sat Radio, Smart Phone Integration/Bluetooth, and a Panoramic Power Roof. Clean history with no reported accidents. This is a must see car. To have kept this beautiful White Dakota leather like this is a true testament to the care it has had. Looks like it has 20K miles. A ton of car for the money. Message: Thought you might be interested in this 2010 BMW 5 Series Gran Turismo.